The Jewish Community Foundation fulfills its mission by educating and motivating donors through meaningful charitable opportunities. Your gift to the Foundation helps to cultivate the following programs that help to promote philanthropy and support a more secure Jewish and general community. 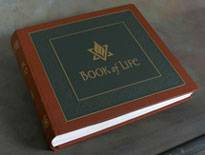 The Book of Life symbolizes promises from one generation to the next to ensure the strength and vibrancy of our community. Drawing upon family traditions, Jewish values and life experiences, signers share their hopes and dreams for the future. Individuals and families are eligible to sign the Book of Life by promising to establish a current endowment to one or more Jewish organizations or synagogues. The Community Grants Program provides funding and technical to innovative, high-quality programs throughout the county. Community Issue Advocacy encompasses programs such as senior transportation and other important initiatives. 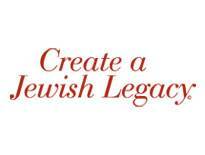 Create a Jewish Legacy© is a community-wide public awareness campaign conducted by the Jewish Community Foundation of San Diego. The goal of Create a Jewish Legacy is to make the Jewish community aware of how simple and meaningful it can be to leave a charitable legacy. The program promotes the message that all of us have the ability to make a difference in the lives of future Jewish generations. The Endowment Leadership Institute (ELI) is a unique, high-quality, results-oriented program with the goal of transforming the culture of legacy giving in San Diego. Through ELI, the Foundation partners with the lay and professional leadership of Jewish agencies, synagogues and day schools to establish bequests and other estate gifts. 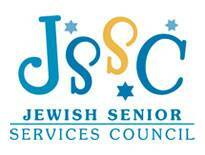 These bequests will build future endowments for the Jewish community. The Governance Leadership Institute (GLI), launched in 2008, that builds stronger governance practices by Jewish organizations and synagogues. GLI builds on the remarkable success of the Endowment Leadership Institute. Through GLI, the Foundation is working to cultivate a population of trained leaders who are eager to serve on the boards of our Jewish community organizations. 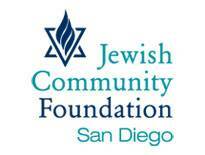 The 2015-2016 Jewish Teen Foundation of San Diego is committed to making a strategic impact to affect the lives of at-risk youth in San Diego and Israel. Over the course of 9 months, the 25 teens of the Jewish Teen Foundation will learn about strategic philanthropy and how to support nonprofits effectively. They will grant from a pool of at least $10,000. The Jewish Women’s Foundation provides education on vital issues, funding innovative programs, and providing advocacy for those who do not have a voice. 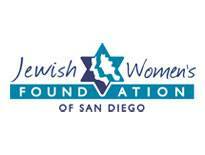 The Jewish Women’s Foundation brings philanthropists together to promote hands-on change for Jewish women and girls in San Diego, across the United States, in Israel and around the world. The Foundation seeks to expand and improve all aspects of the lives of women and girls.